Māori fertility rates were high in the 19th century and remained high well into the second half of the 20th century – unlike Pākehā rates, which fell in the late 19th century. 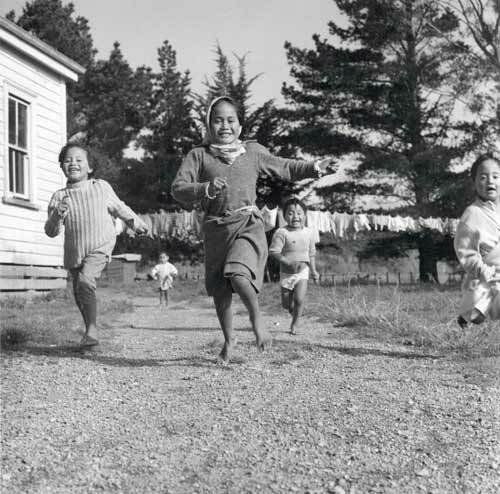 These children are racing around the family home, the youngest bringing up the rear, in Ruatōria in 1964. The photograph is part of the well-known 'Washday at the pa' series by Ans Westra.